‘I’ll bet it feels like you’re going to die, doesn’t it?’ Salt Lake County jailers thought inmate was withdrawing from heroin before her 2016 death, family says. (Trent Nelson | The Salt Lake Tribune) The family of Lisa Marie Ostler is suing Salt Lake County over her 2016 death in the jail. Calvin and Kim Ostler, Lisa Marie's parents, spoke about their daughter's death Thursday March 22, 2018. Jailers thought Lisa Marie Ostler was suffering from the painful withdrawals that come when a body reacts to a lack of opiates. In a few days, they thought, she’d be fine. Ostler’s insides were failing her. She couldn’t eat or drink in the days after her March 2016 arrest. In addition to her drug addiction, Ostler suffered from Crohn’s disease, an inflammatory bowel disease that can cause extreme pain and digestive issues. Over the course of five days, Ostler suffered a painful decline while Salt Lake County jailers ignored or overlooked her pleas for help and medical attention before she died, according to a lawsuit filed Thursday in federal court. Her family says Salt Lake County jailers, medical staff and those overseeing the jail are to blame for her death. Lisa Ostler’s story mirrors others across a country grappling with widespread opioid addiction: she was prescribed opiate medications for her disease and a gastric bypass operation. She became hooked and later turned to heroin, her parents said, which is cheaper and can be easier to obtain than prescription opiates. Ostler, who was 37 when she died, was arrested in Draper when officers approached her in a parking lot and found several syringes she allegedly used to inject heroin and meth, according to court documents. Two days after her arrest, she started experiencing pain in her stomach. While she cried out in her jail cell, the lawsuit suggests jail staff dismissed Ostler’s suffering as the side effects from heroin withdrawals. Other inmates, meanwhile, thought Ostler would die if she didn’t receive medical attention from the nurses working in the jail, according to the lawsuit, filed by Rocky Anderson, an attorney and former Salt Lake City mayor. An inmate asked jail staff to help Ostler as she heard screams coming from her cell, according to the lawsuit. Two female inmates who heard Ostler’s cries for help contacted Calvin and Kim Ostler upon their release from custody, the Ostlers said. The complaint alleges Ostler died “because of the cruel, dismissive, deliberative indifference” by guards, medical staff and those running the jail. “The Salt Lake County Sheriff’s Office does not comment on active lawsuits,” Sgt. Kevin Hunter, a spokesman for the jail, said Thursday. Jail experts often say inmates manipulate staff for a chance to get out of their cells or receive other treatment they may not need. Ostler told staff her eyesight was failing, but the employees believed she was looking for a free pair of glasses, according to the complaint. “Defendant John Doe, instead of providing, or arranging for, medical assistance to Lisa, simply said he was not going to help her and that he was going to write her up for continuing to request medical treatment,” the complaint says. In the early morning hours of April 2, Ostler tried clawing her way out of her cell and pushed her arm through the cuff-port of the cell door, the family says. 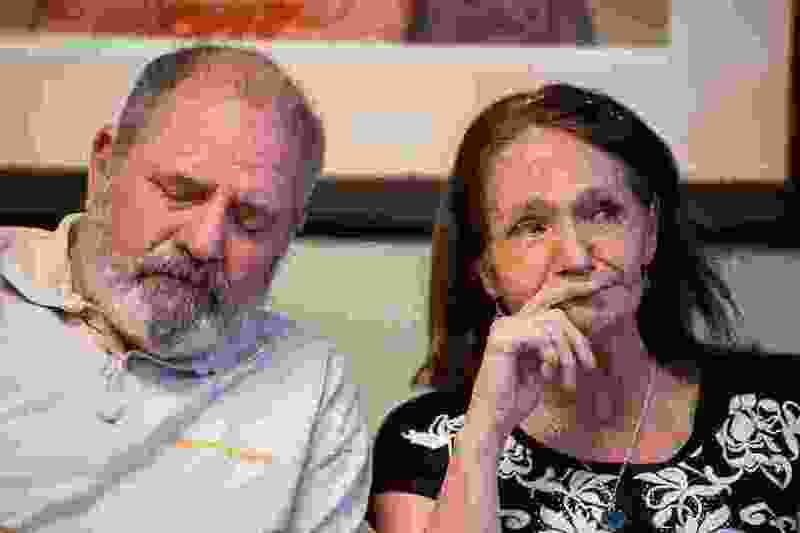 “I have PTSD from just listening to [other witnesses recount] the night before she died,” Kim Ostler, Lisa’s mother, told The Salt Lake Tribune. Kim Ostler said she contacted the jail after seeing on a jail booking site that Lisa had been released. Employees said her daughter was in the hospital, Kim Ostler said. Lisa was in the intensive care unit at Intermountain Medical Center, the family says. Some family members were unable to see Ostler before she died overnight on April 3, Kim Ostler said. The medical examiner’s report said she died of peritonitis, an inflammation in the abdomen that can lead to a spreading infection, the family says. The family is asking for compensation, punitive damages, attorneys fees and other relief as determined by the court.